Back in July, I purchased a My Monthly Hero kit. 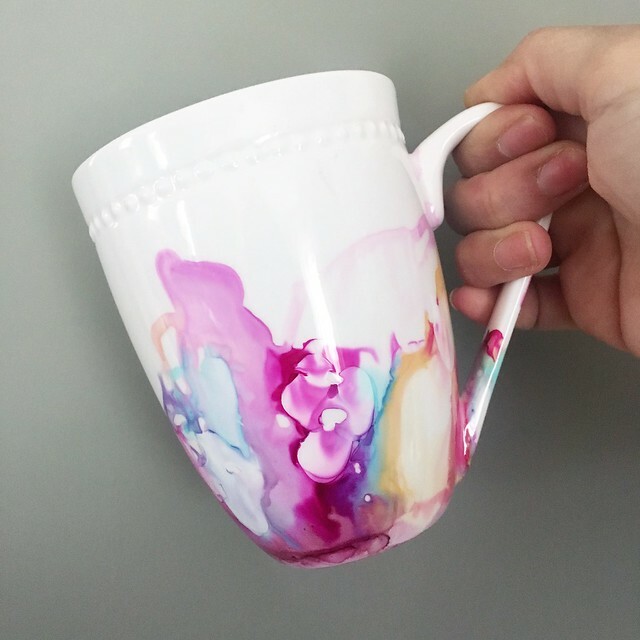 It was the first thing I ever purchased from Hero Arts, and I couldn’t resist. I was in love with several of the images in the stamp set. The jellyfish image turned out to be my favorite. There’s something about how ethereal jellyfish are. I never like to run into them in the ocean, but I can certainly appreciate them from a safe distance, especially if they’re just on paper. Several years ago I took a trip to the New England Aquarium in Boston and saw their Jellyfish exhibit. Many different kinds of jellyfish (or Sea Jellies) swim around in glass tanks in a darkened room while various colors of light illuminate the tanks. I fell in love with the exhibition – it was so peaceful and so calming to watch the jellies float around in the tanks. Making these panels definitely took me back to that experience. With the aquarium exhibition floating around (ha!) 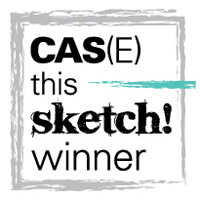 in mind, I found that the image would be perfect for an emboss-resist technique on some watercolor paper. 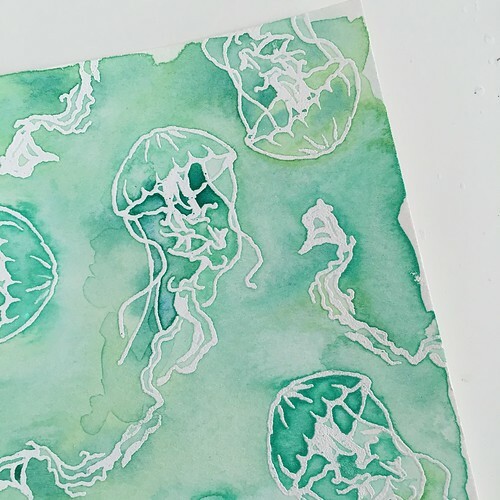 I cut up some Canson watercolor paper into 4.25″X5″ pieces and used my versamark ink pad, clear embossing powder and my heat tool to heat emboss jellyfish onto several of the watercolor panels. 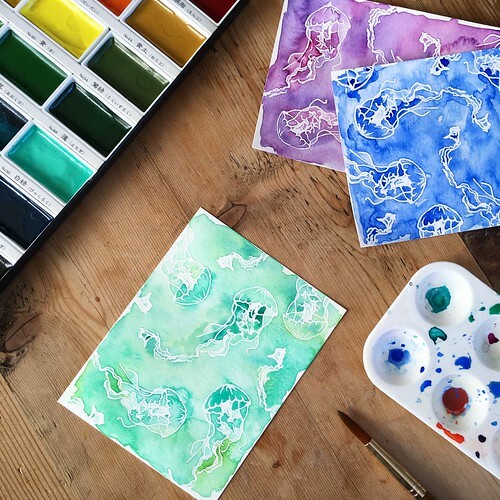 I painted with my Gansai Tambi watercolors, using various colors in various intensities on each panel, but sticking to a monochromatic look overall. And once I started, I couldn’t stop! 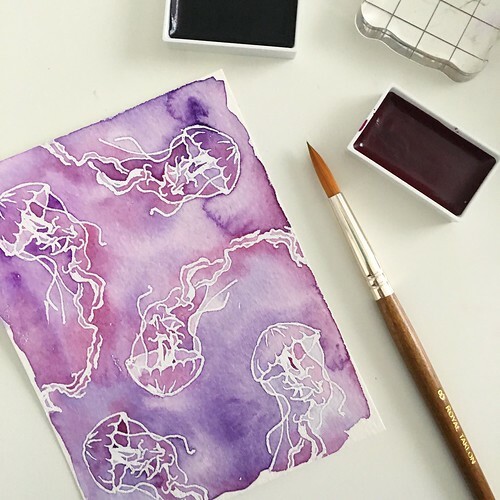 I ended up with sea jellies painted in just about every color. I still haven’t turned many panels into cards yet, but I did decide that I’d like to frame one of the panels. 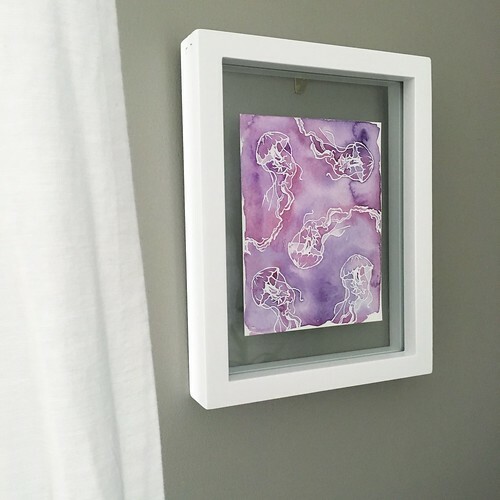 So, a few jellyfish now hang on the wall in my living room in a frame I picked up at Target.